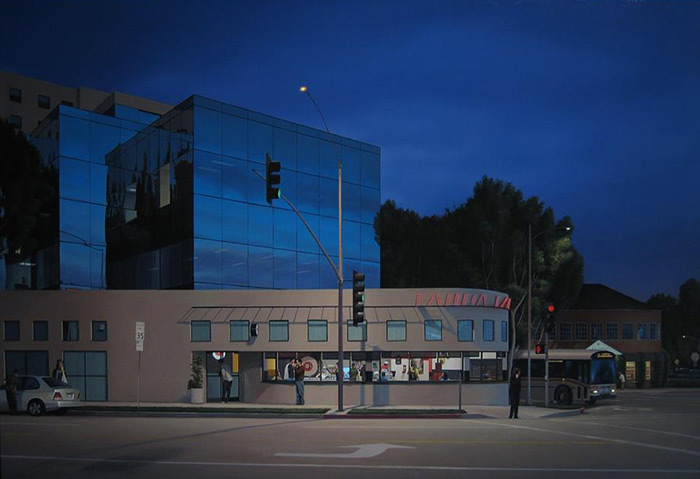 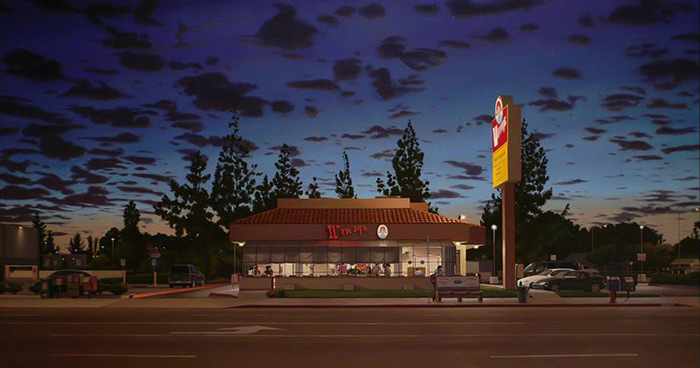 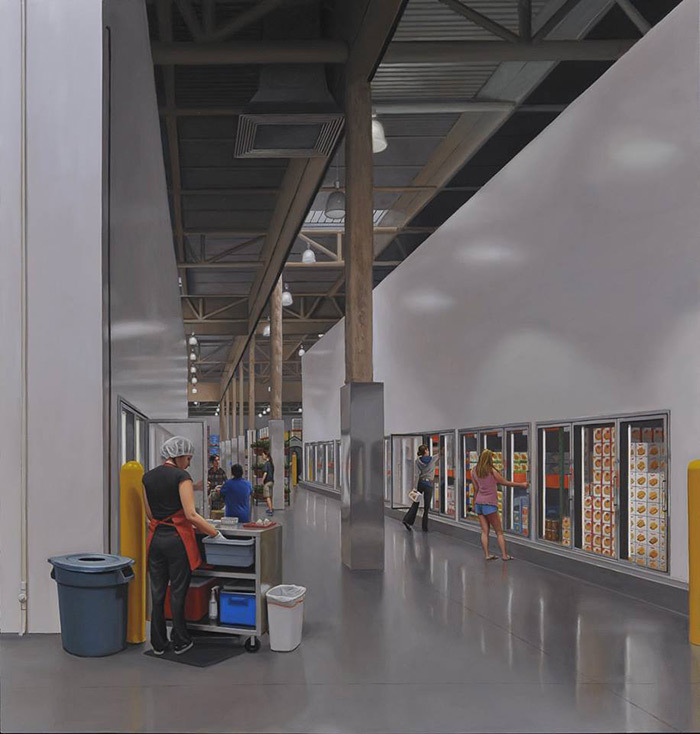 Photorealistic paintings of discount retailers, members-only wholesale clubs, fast food restaurants, car washes, and gas stations by San Fernando Valley-based artist Marc Trujillo. 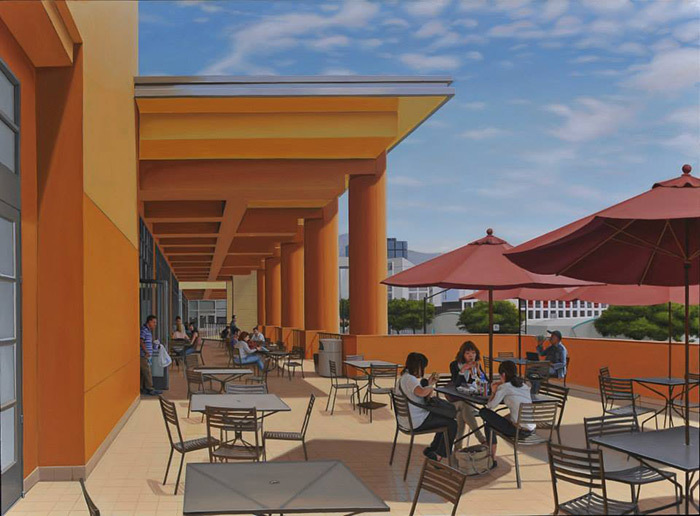 The interior spaces and commercial architecture he depicts are often places that are designed to be enjoyed and frequent by most people but move past through. 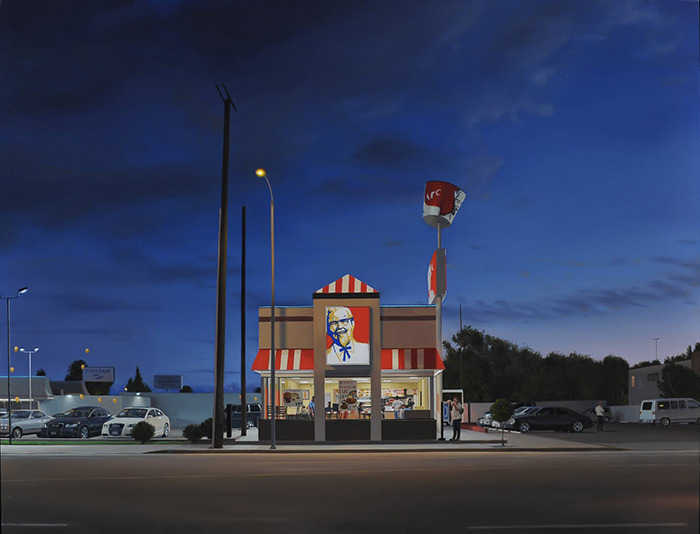 These "nowhere places" inspire and fascinate Trujillo as they dominate the country's urban landscape. 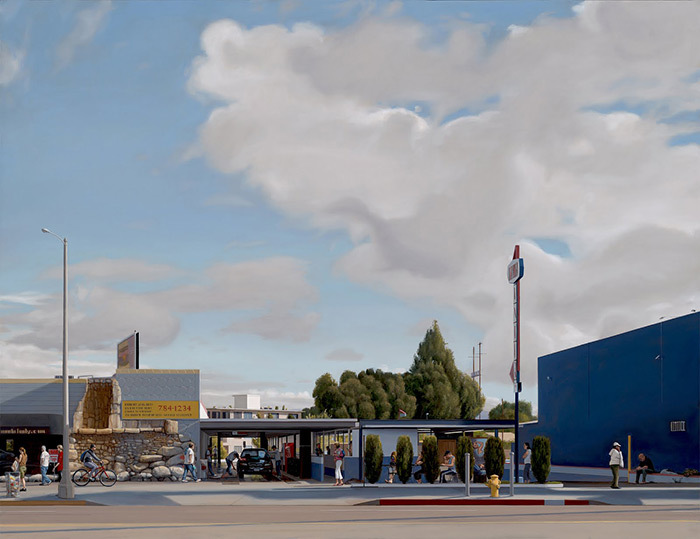 The places I paint exist in the shared spaces of the everyday. 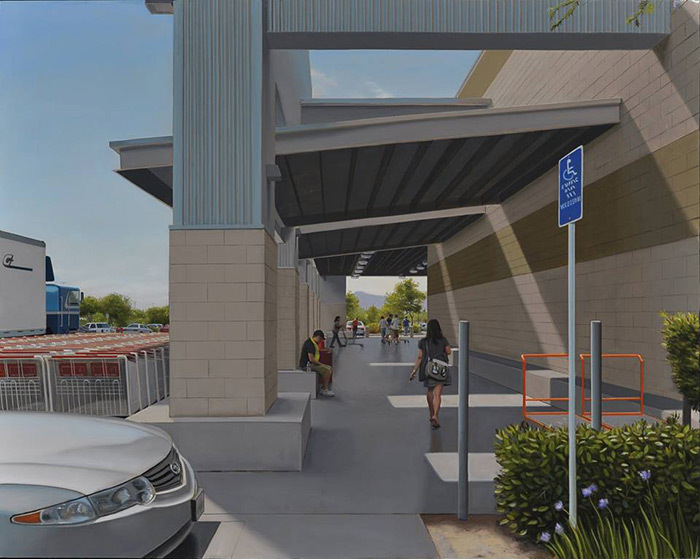 Two hundred yards of polished concrete or linoleum gives me a little chill. 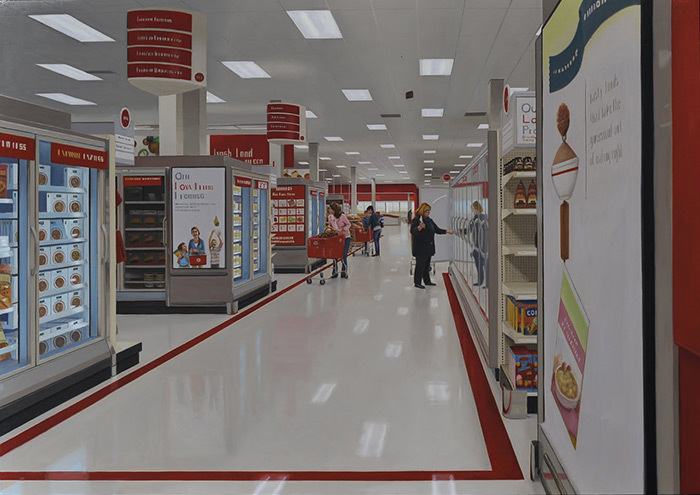 I’m captivated by the middle ground, the purgatory of the world we’ve made and share as North Americans, in a way that makes me want to paint it. 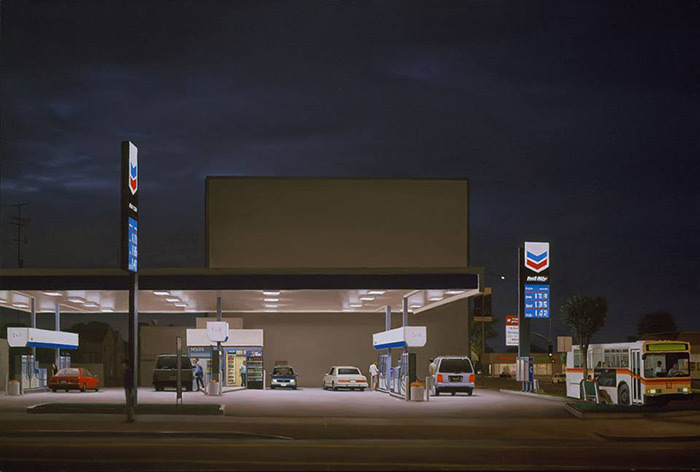 The places in the paintings are locations that are non-destinations, particularly North American kinds of nowhere, at once ubiquitous and yet largely unseen. 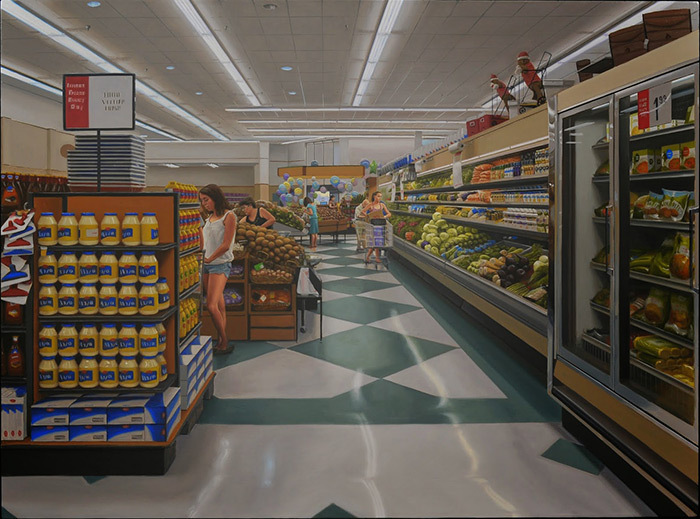 My interest is in the mix of shame and awe I feel, but also in the visual potential for painting of what I’m experiencing. 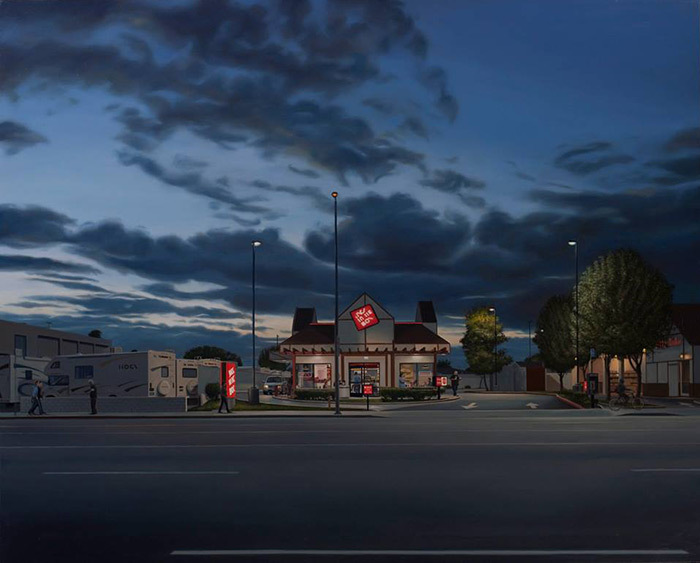 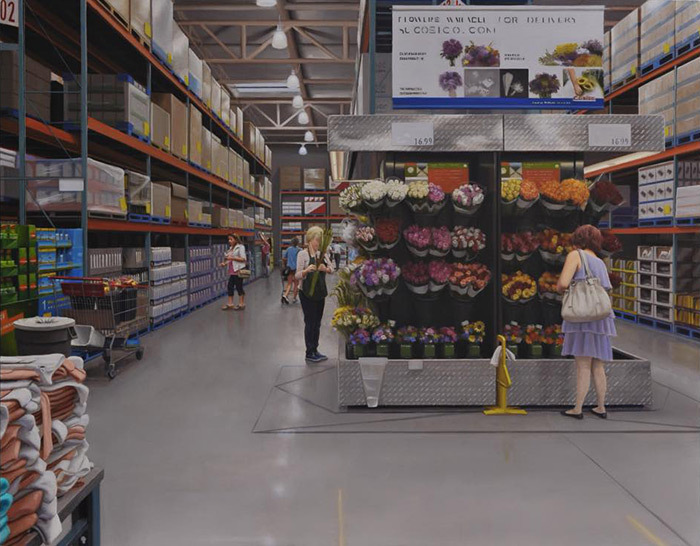 Photorealistic paintings of discount retailers, members-only wholesale clubs, fast food restaurants, car washes, and gas stations.